Following the introduction of LASPO, DAS was the first insurer to completely change its ATE business model enabling DAS ATE business volumes to recover quickly and grow beyond pre-LASPO levels. The growth was mainly due to the introduction of a new Clinical Negligence product and DAS entry into the Civil Litigation market, where it provides indemnity limits of up to £3.0m for commercial and other litigation. DAS became the first insurer to own a law firm and gain an ABS licence. The DAS Law business model ensures it is significantly more efficient than most solicitor firms, and allows it to deal successfully with changes in the personal injury fixed costs regime. DAS Law now has teams handling employment, property and contract, as well as personal injury and has recently developed a will writing proposition. 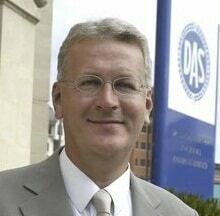 DAS has also been successful in developing its business beyond the UK. Alongside strong results in Ireland the company’s Canadian business is performing well. DAS also started writing business in Norway and will continue to expand into new territories as and when suitable opportunities arise. The company’s scale, experience and resources also puts it in a very strong position to deal with the general increase in regulatory scrutiny and specific regulatory issues such as the future of add-on sales and is keen to help its business partners tackle these challenges. Record income of £199.6m, up over 10% on 2012. Profits before tax and reinsurance grew 9% to £12.1 million. The Group experienced a significant increase in ATE sales up 45% on 2012, primarily due to the high volume of ATE business pre the implementation of the Legal Aid, Sentencing and Punishment of Offenders (LASPO) Act on 1 April 2013. BTE sales remained stable in 2013 with the profitability of the main business classes improving. In May 2013 DAS Group became the first insurer to acquire a law firm, now branded DAS Law. Strong growth in Ireland and Canada, where DAS Legal Protection Insurance Company completed its second full year of trading. Launched in Norway with a partnership with an insurance agency and broker, Legal24, to underwrite a product for homebuyers. Major product launches covering commercial legal expenses and ATE. Significant business wins and commercial relationships which include joining the Managing General Agents Association (MGAA). The Group maintained its “A” credit rating from Standard & Poors.